cost $7,323 f.o.b. Windsor, Ontario. 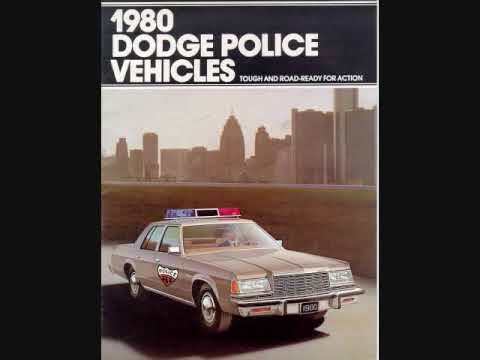 The Dodge St. Regis was a popular choice for police duty. The instrument panel was ergonomic and tasteful. Styling was heavily influenced by the Mercedes-Benz. The outer skin of the Dodge St. Regis was very upscale and European in flavour. Razor straight lines punctuated the slab sides of the body. The grille consisted of six rows of sox elongated rectangles, and it strained forward eagerly from canted, glassed-in quad quartz halog4en headlamps. The standup hood ornament whispered of elegance and class. From the rear, the long, flowing, wrap-around taillights repeated the rectangular theme seen in the grille. A prominent rib ran down the centre of the trunk. While the virtually indestructible and thrifty Slant Six might be the base mill, for $394 more one could order the 318-cubic inch V-8 rated at 160 horsepower or put down $578 for the 360-cubic inch motor engine with 135 horsepower. If one was in the mood to drop $842 for the 360-cubic inch monster, one could have 190 horses lurking under the hood. 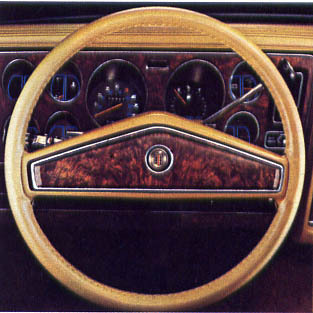 Seating was luxurious in the 1980 Dodge St. Regis. The cabin was ample. Inside passengers could expect a standard interior featuring a split-back bench seat with a folding centre armrest finished in a cloth-and-vinyl combination called Verdi II. 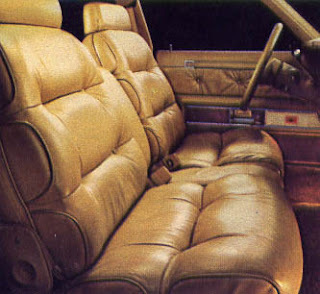 If that wasn’t suitable, the interior could also be ordered with all-vinyl Oxford upholstery for a few dollars more. 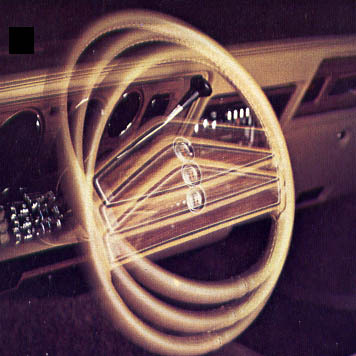 Reclining front seats could also be had in the 60/40 individually adjustable bucket style—a configuration made popular by the Nash Rambler three decades earlier. Standard equipment included the three-speed TorqueFlite automatic transmission, power brakes and power steering, dual horns, lighter, bumper rub strip, lap and shoulder belts, a dual braking system, a “key-left-in-ignition” chime (considered annoying by many), side door impact beams and turn signals with lane-change features. 50,000-mile warranty on all its vehicles. As befitting Dodge’s flagship, the St. Regis boasted more options than Wayne and Shuster had bad one-liners. Well, almost. Popular add-ons for the dapper Dodge included automatic speed control with intermittent wipers on the same stalk. A sliding sunroof was electrically operated and available with a grey or bronze tint. Tilt steering wheel was available. The electronic digital clock, a.k.a. the Chronometer, with its digital LED readout was a classy touch. 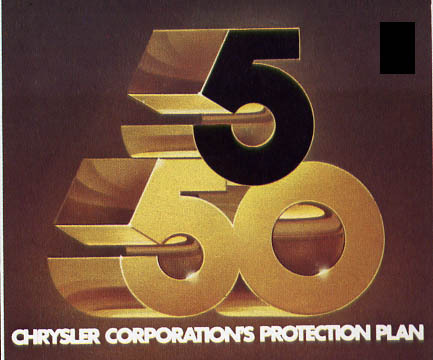 More practical was the 5/50 Protection plan offering an optional service contract to cover the vehicle’s integrity. Radio options included an AM/FM stereo with our without signal seeker, cassette or eight track player and a Dolby-encoded reader for better sound. A CB transceiver with fixed Tri-Band antenna was on the list, too. Canadians who bought the 1980 Dodge St. Regis. Air conditioning was a pricy option adding $785 to the final price tag. On top of that, Ottawa exacted a $100 luxury tax for cars equipped with air conditioning. An illuminated Driver-side or passenger-side Vanity mirror was useful for looking good. A right side, remote control, convex outside mirror was not merely attractive it was useful for looking out. An electric rear window defroster, a block heater, floor mats, locking glass cap, a three-note horn, an illuminated entry system, cornering lights, a litter container, numerous body-side protection mouldings, door-edge protectors and dress up trim set a St. Regis apart. The power servants included an antenna, rear deck release, door locks, electric seats and windows. One could even group optional equipment together in light packages, heavy-duty trailer assist packages, open road handling packages and sporty touring packages. Colours on this year's palette were Light Heather Grey, Frost Blue Metallic, Nightwatch Blue, Teal Frost Metallic, Teal Trop Green Metallic, Crimson Red Metallic, Baron Red, Light Cashmere, Natural Suede Tan, Mocha Brown Metallic, Eggshell White and Black. Five pleasant two-tone combinations were also available for those who desired something a little out of the ordinary. The product was good but Chrysler was in trouble deep both in Detroit and Windsor. Lee Iacocca took over the helm even as the company was busy bleeding to death. Exhausted and behind the times, Chrysler’s very existence was at stake. It was nail biting time at ChryCo. Company officials had very little time to draw up a successful survival plan and then go hat-in-hand to Ottawa and Washington to sell it, in hopes of loan guarantees.